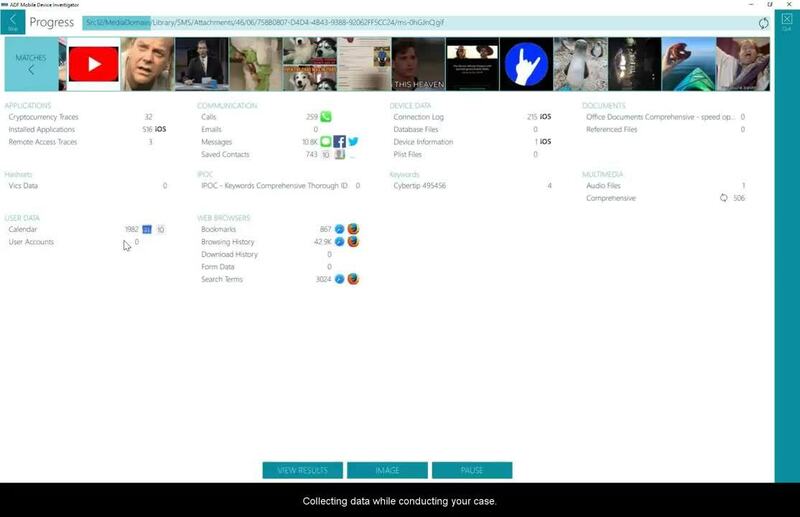 With the easy-to-use Mobile Device Investigator™, you can now quickly and easily collect evidence from iOS and Android phones and tablets. 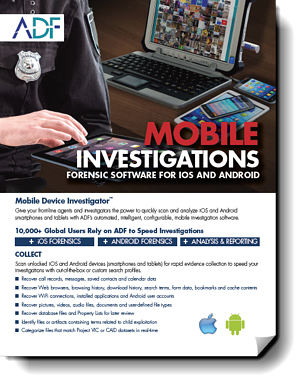 The Mobile Device Investigator™ software tool is designed to be operated by front line police, sheriffs, field agents, and investigators. 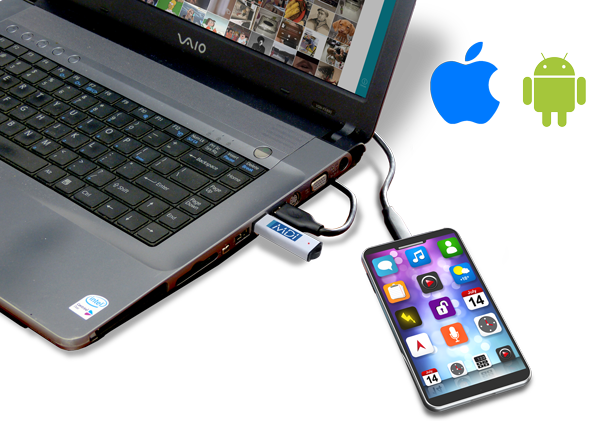 Connect a suspect device via USB port to quickly collect evidence and perform a logical acquisition. Conduct an in-depth analysis of the data using the visual classification, timeline view, and view links between files of interest and user activities. 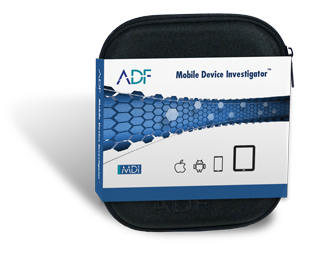 The Mobile Device Investigator™ (MDI) software can be deployed with ADF's Digital Evidence Investigator®, Triage-Investigator® or Triage-G2®. Talk with your account manager for details. Scan unlocked iOS and Android devices (smartphones and tablets) for rapid collection to speed your digital forensic investigations with out-of-the-box or custom search profiles. Quickly go through the recovered data with the powerful results viewer to explore gigabytes of information in minutes. Easily create comprehensive reports to highlight your findings and select the format most suitable for your audience.